SchoolSourceNYC is a product designed to help parents find valuable tips and information to help navigate the the New York City school system. SchoolSourceNYC is a partnership between the New York City Department of Education's Office for Family Engagement and Advocacy, RMC Research Corporation and Thirteen/WNET.org developed to design diverse resources relating to the education of children, across all grade levels, of New York City families. Visit SchoolSourceNYC at www.thirteen.org/edonline/schoolsourcenyc. Thirteen's viewers can solve problems with CYBERCHASE, weekdays at 8AM and 5 PM. Children absorb more information in the first few years of their life than any other time. Are you a parent or caregiver looking for creative and positive ways to encourage your child to learn? Visit Thirteen Ready to Learn for videos, articles, and links to help you shape your actions as your child's first teacher. Our website is preparing for an exciting relaunch, so be sure to check back soon for the addition of a new blog, helpful advice for parents, and for updates on all the latest Thirteen events for you and your child! 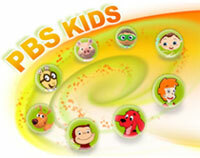 Browse additional PBS resources to complement its programming and reinforce learning. May 8, 2009 is Provider Appreciation Day! Take this time to thank you child care provider for all that he or she does. Thirteen/WNET.org, in partnership with the program A Place of Our Own, honored our 2008 Recognized Child Care Provider, Norma Gabriel, with this feature clip! We also honored many of New York City's finest child care providers with a full day Super Saturday event! Learn how to bring the rich multimedia resources of public TV into your afterschool program. What's on Thirteen for kids? Log on to our free online services where you can stream and download educational media. Available to New York K-12 and Adult Education. Watch our READY TO LEARN shows every weekday morning and afternoon!